My grandma taught me to crochet when I was five years old, and it is something I still love to do today. Once you start crocheting, you will find that it is a fun, fulfilling hobby. Follow these easy steps, and you will be crocheting beautiful pieces before you know it. See the Vs in the chain? When you yarn over, remember to bring the yarn from behind the hook. Flip the chain over to see the ridge. Completed 1st row of single crochet, chain one before turning. 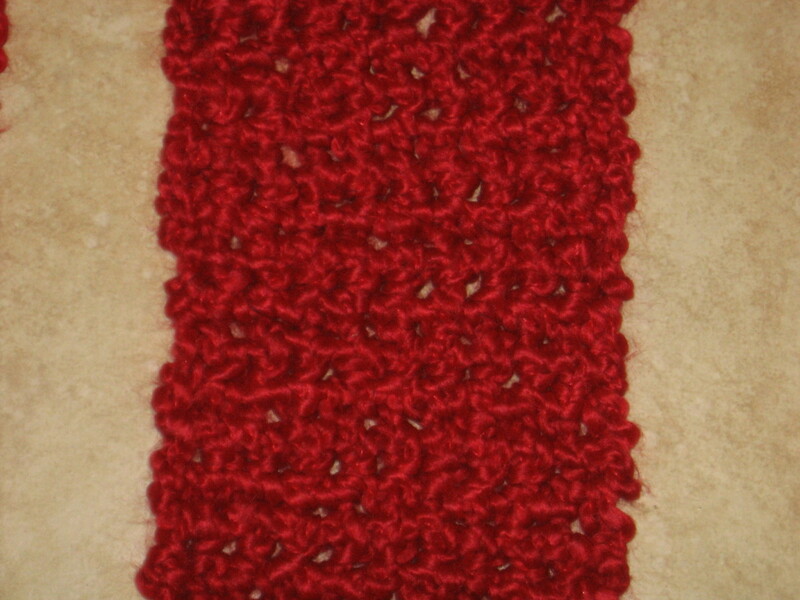 Hook goes through both loops of V.
This is row 1 of a half double crochet. Notice all 3 loops on the hook. 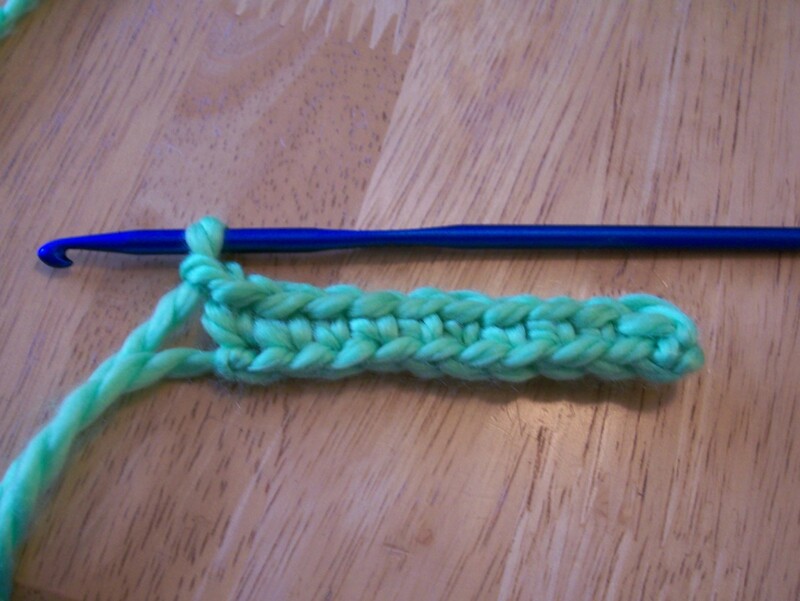 Double crochet: insert hook in 4th chain from hook. At end of the 1st row of double crochet, chain 3 before turning. 2nd row of double crochet, inset hook into next double crochet from previous row. Treble Crochet: Yarn over twice, insert hook into fifth chain from hook. End of row 1 for treble crochet, chain 4 before turning. The How to Change Yarn Colors video isn't very clear on how to change the yarn, but gives you a good overview of how it happens. The Tidy Away Ends & Colour Changes video is a bit advanced for the beginner, but I recommend it because it has some great tips. At the beginning, she shows you how to hide the tail into the chain--I suggest you don't do this until you have practiced crocheting for awhile. The chain will help beginners identify where they started the first row. 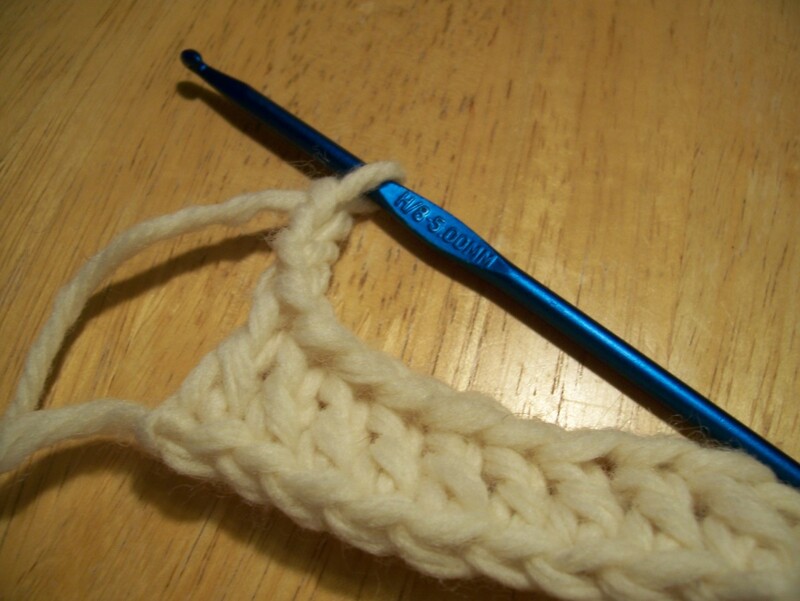 Once you become more practiced at crocheting, this is a great tip. Crochet Hook: I suggest a size H/5.00 mm for beginners. 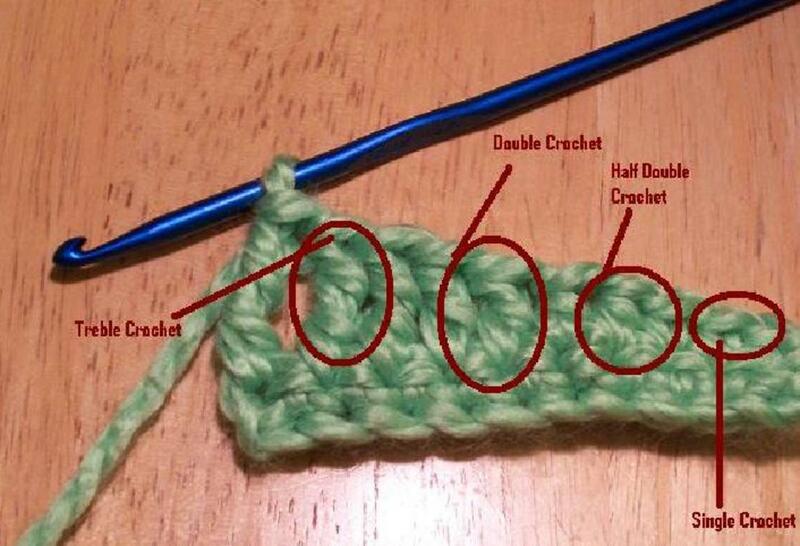 It will be easier for you to use until you get the hang of crocheting. I prefer wooden hooks because they feel smoother, but aluminum work great as well. Yarn: Pick a bright colored, worsted weight yarn. Worsted weight is the most commonly used yarn for crocheting. You want to choose a brightly colored yarn, instead of a dark color, because it will be easier to see your stitches. These are the two basic supplies every beginner needs. As you get more practice, you will find use for rulers, longer hooks, and markers. Keep a pair of scissors handy too! Every crochet project and pattern begins with a foundation chain. You will find that the stitches of a foundation chain look like a row of V's. To make a foundation chain, you need to start by making a slip knot (see video Hook, Yarn, & Slip Knot). Put your hook through the slip knot, holding the hook in your right hand and the yarn and slip knot in your left hand. Bring the yarn over the hook (you want the yarn to come towards you) from back to front. 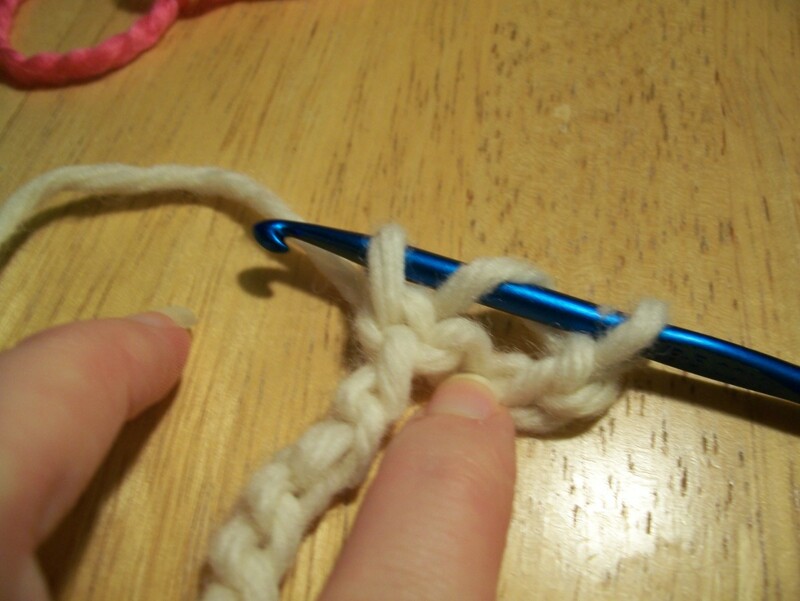 Pull the yarn through the slip knot with the hook. This will give you two stitches in your foundation chain. Repeat until have a chain with 11 stitches. (Practice until you have a smooth, loose chain to work with. 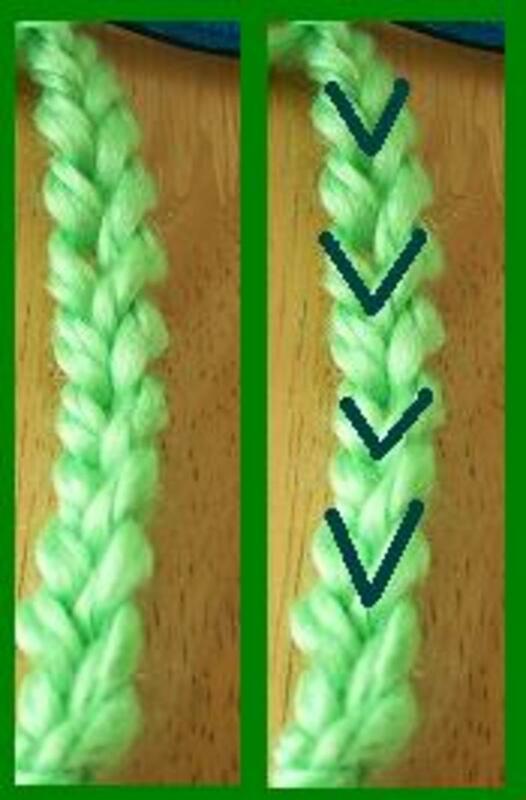 Note: When you make one chain stitch, it is often called "chain one". The abbreviation for chain is ch, for chains it is chs. 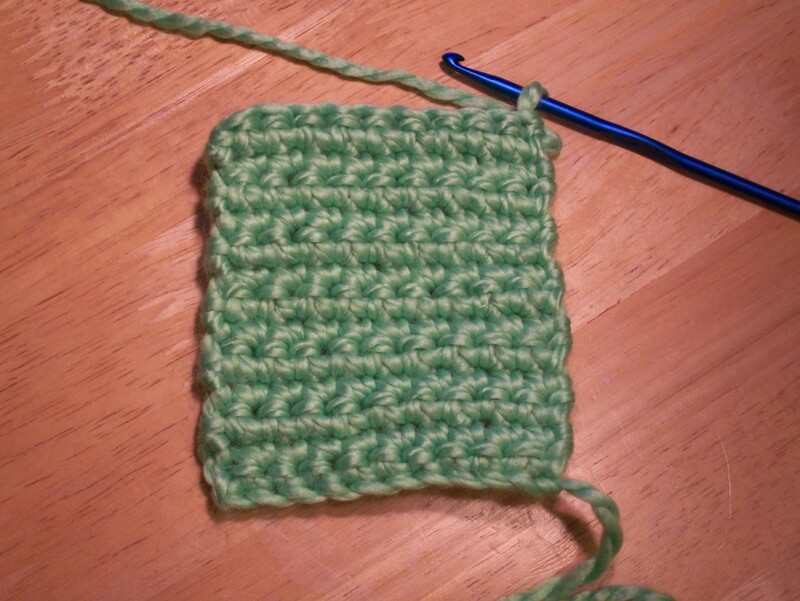 The single crochet stitch is the shortest stitch in height. 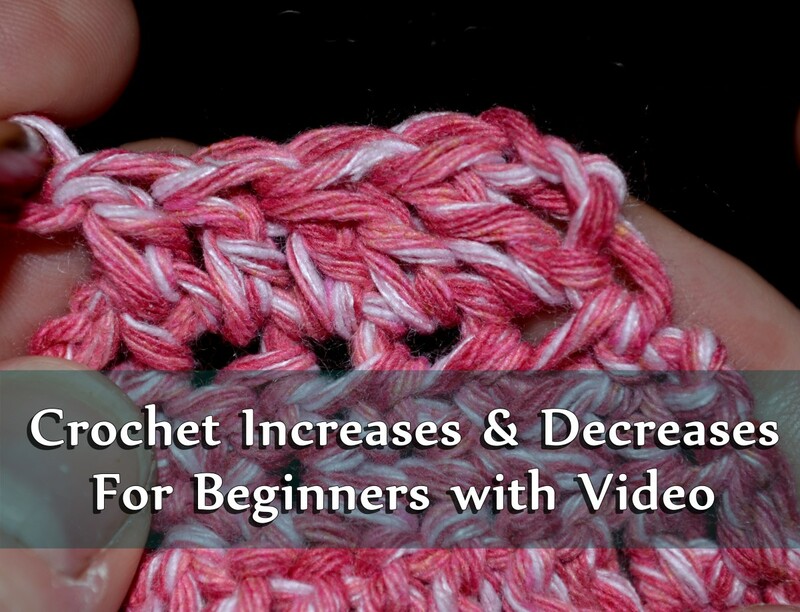 It is also one of the most common stitches you will use in crocheting. With the last chain still on your hook, insert the hook into the back ridge of the second chain from hook (the ridge is the piece of yarn under the V-shape). Bring the yarn over the hook, like you did while making the chain, and pull it through the ridge. You will now have two loops on your hook. Bring the yarn over the hook again, and pull it through the two loops. You have just completed one single crochet. Insert hook into the next ridge, and yarn over. Pull the yarn through the ridge. Yarn over again, then pull it through the two loops. You have made another single crochet. Repeat steps 4 and 5 until you reach the end of the row. By the end, you should have 10 single crochets (count the Vs to make sure). Note: The term "yarn over" refers to bringing the yarn over your crochet needle. In patterns, it is often abbreviated to YO. When you are making your first row, make sure you don't let your chain twist--keep it straight. Before you turn your work to start row 2, you need to chain one. This chain is called a turning chain. Turn your work around, pulling the row you just completed towards you. The hook will now be at the beginning of the work again. 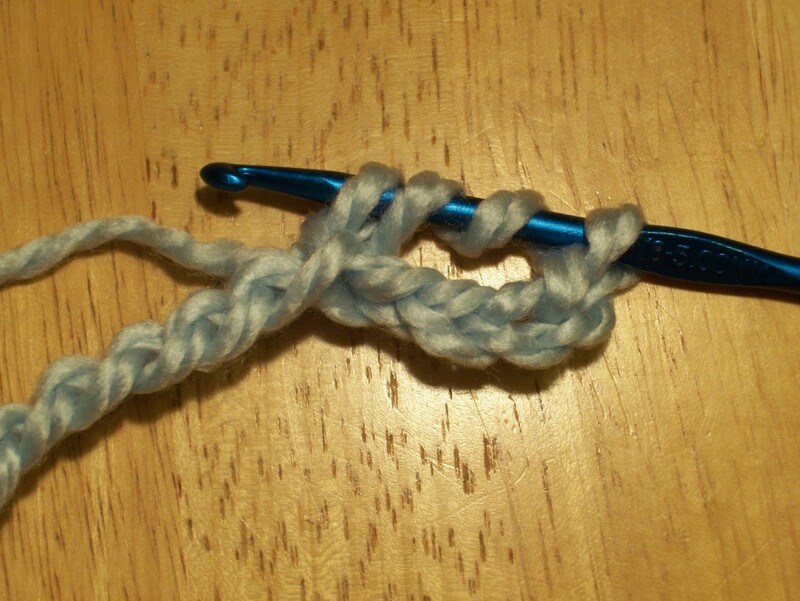 Insert the hook under the two top loops of the single crochet closest to your hook. Yarn over, and draw the new loop through. You will now have two loops on your hook. Yarn over again, and draw it through the two loops on your hook. You have now made a single crochet on your second row. Continue across the row until you reach the end. Count the Vs to make sure you have 10 single crochets. Make a few more rows for practice, until you feel comfortable to move on. 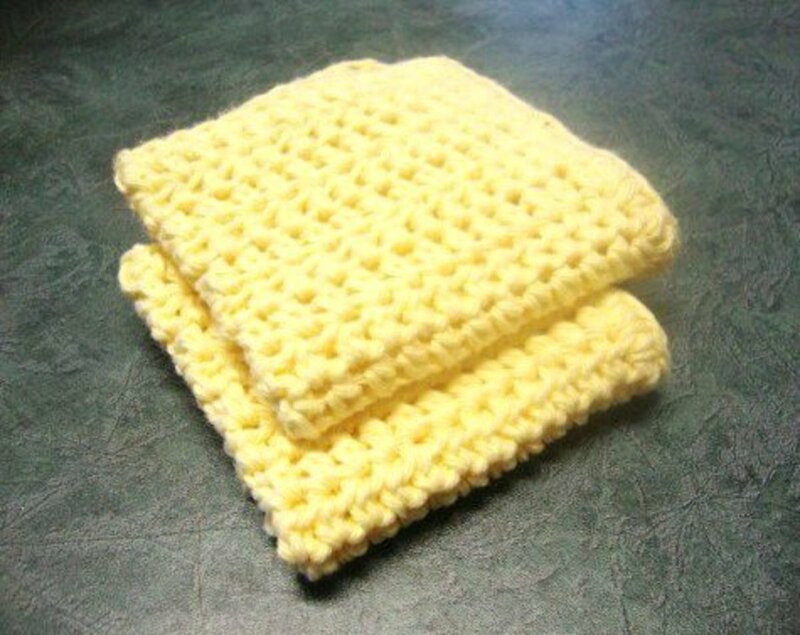 The half double crochet is taller than the single crochet, but shorter than the double crochet. Chain 11 stitches (loosely). Yarn over and insert hook into third chain from hook. Yarn over again, and pull yarn through the chain. You will now have 3 loops on your hook. Yarn over, and pull through all 3 loops on the hook. 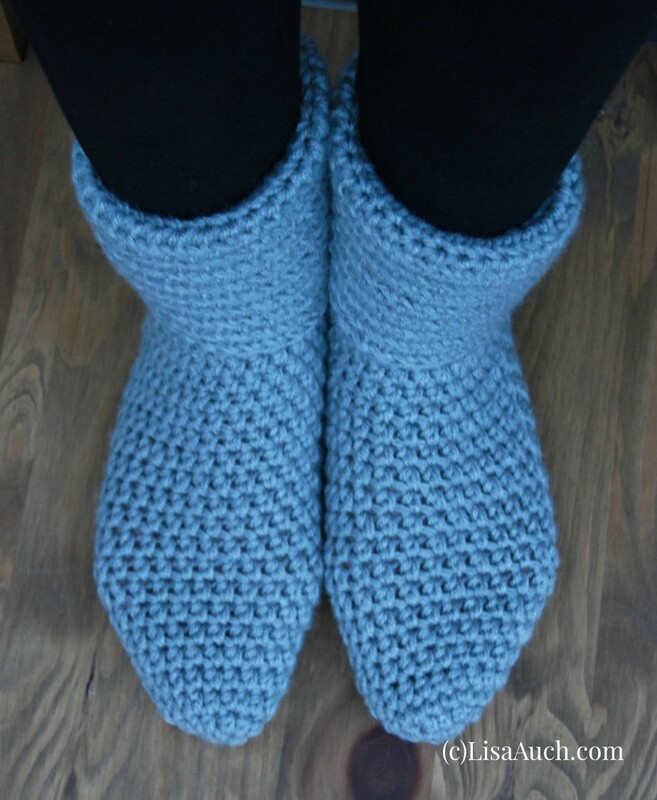 You have just completed one half double crochet. Yarn over and insert hook into next chain. Yarn over again, and pull through chain. You should have 3 loops on your hook. Yarn over, and pull through all 3 loops on hook. You have now made another half double crochet. Repeat steps 3 & 4 until you reach the end of the row. By the end, you should have 10 stitches. Before you turn your work, you need to make a turning chain. 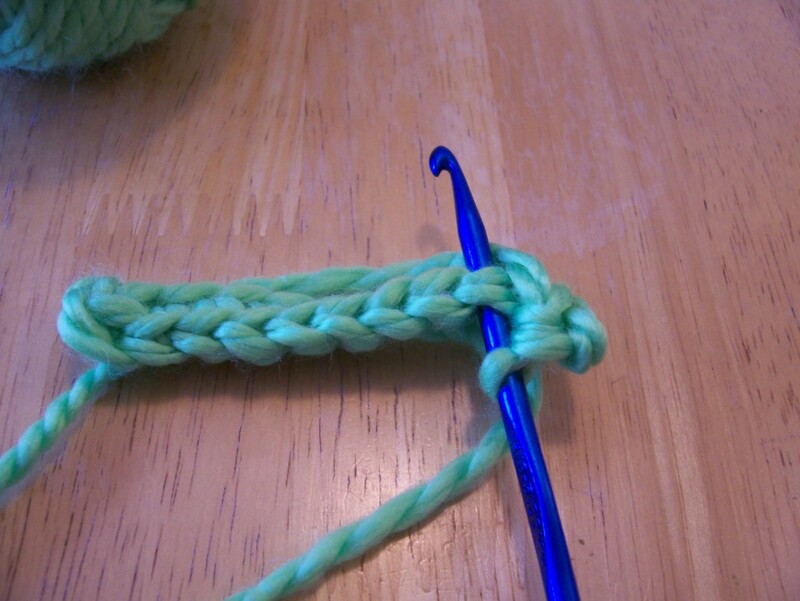 Chain 2 and turn your work (the 2 chains will count as the first half double crochet on row 2). 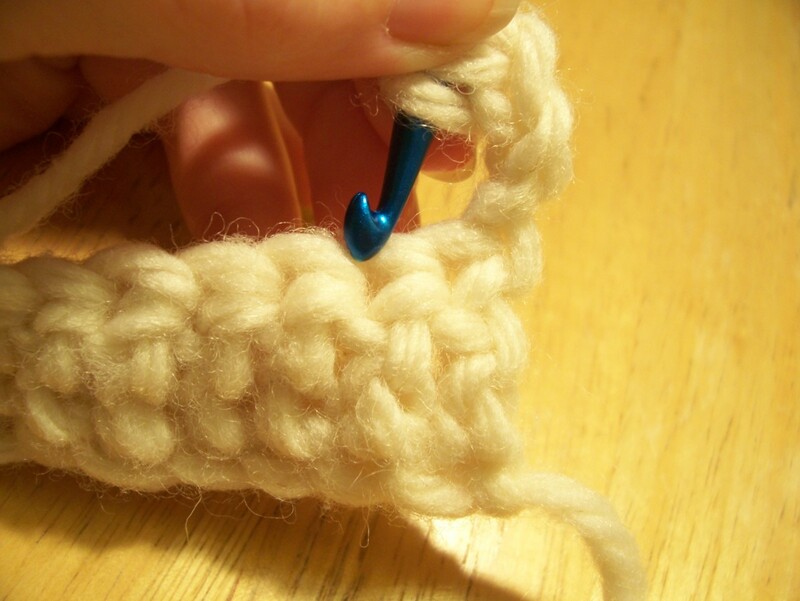 Insert the hook under the two top loops of the half double crochet from the previous row, work a half double crochet. Half double crochet in each half double crochet across the row, until you reach the end of the row. You should have 10 stitches by the end. Again, practice by completing a few more rows, until you feel comfortable to move on. Note: If you are following a pattern, read it carefully. The turning chain won’t always count as the first half double crochet. Always count your stitches to make sure you haven’t dropped or added a stitch. 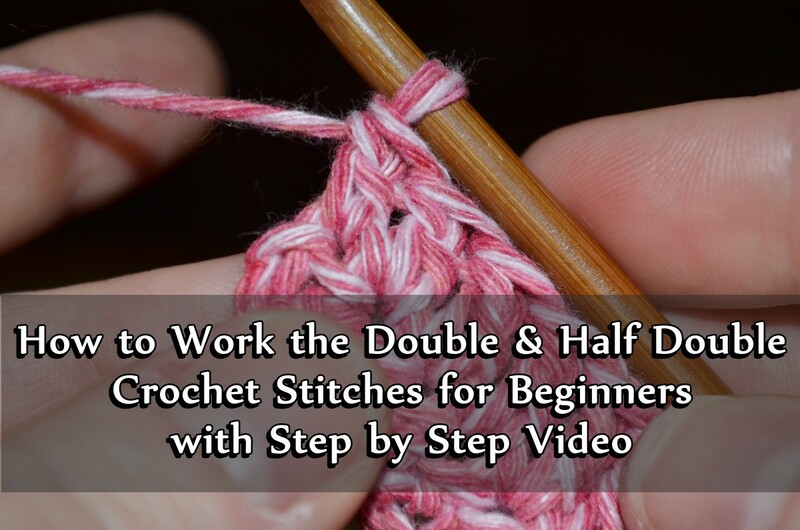 The double crochet is another popular stitch, and one of my favorites. 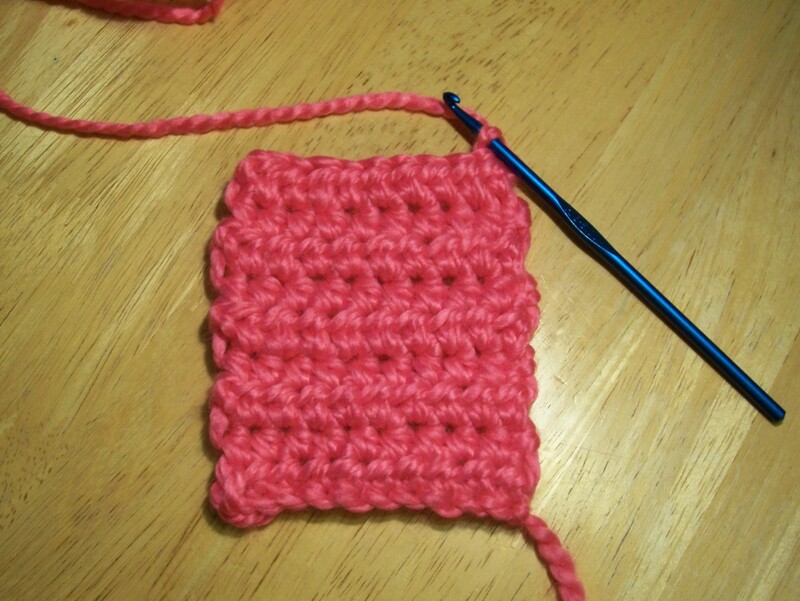 It has one more step to it that the half double crochet, so take a while to practice it and get the hang of it. 1. Chain 12 stitches (loosely). Yarn over, and insert hook into fourth chain from the hook. Yarn over again, and pull yarn through the chain. You will now have 3 loops on your hook. 2. Yarn over and pull through the first 2 loops on the hook. There will be 2 loops remaining. 3. Yarn over again, and pull through the remaining 2 loops on the hook. 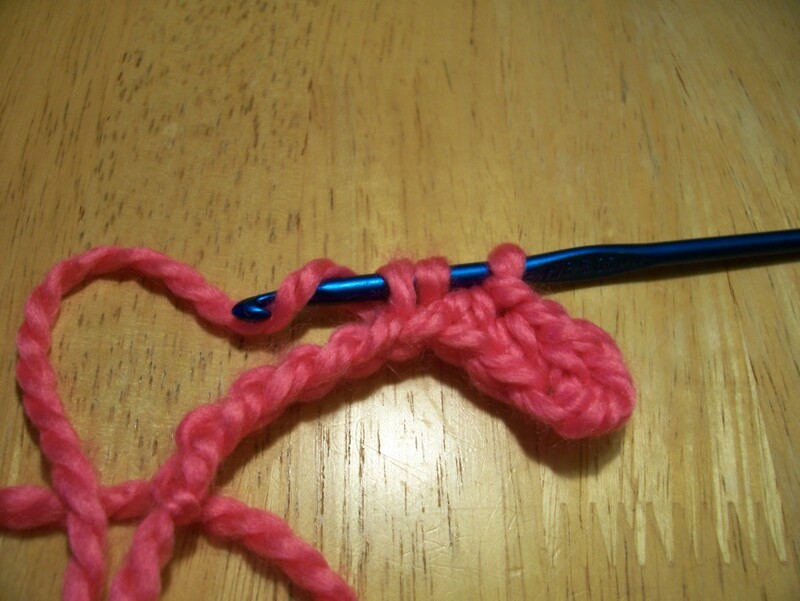 You have now completed your first double crochet. 4. Yarn over and insert hook into next chain. Yarn over again, and pull through chain. You should have 3 loops on your hook. 5. Yarn over, and pull through the first 2 loops on hook. 6. Yarn over again, pulling it through the remaining 2 loops on hook. You have completed another double crochet. 7. Repeat steps 4-6 until you reach the end of the row. By the end, you should have 10 stitches. Before turning your work, chain 3 as the turning chain. These 3 chains will count as the first double crochet in the new row. Turn your work. 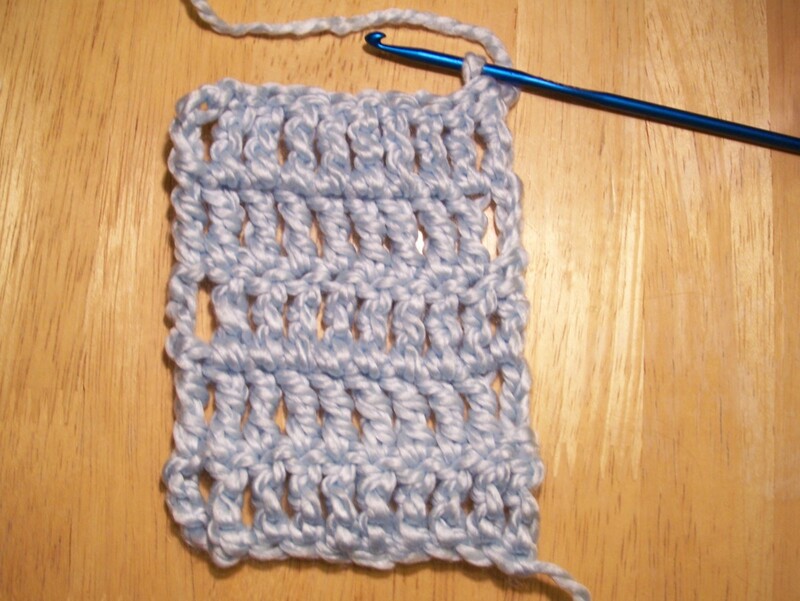 Double crochet into both top loops of the next double crochet from the previous row. Continue across the row. By the end, you should have 10 double crochets (counting the turning chain). Repeat the rows until you feel comfortable enough to move on. The treble crochet is the tallest of these four stitches. 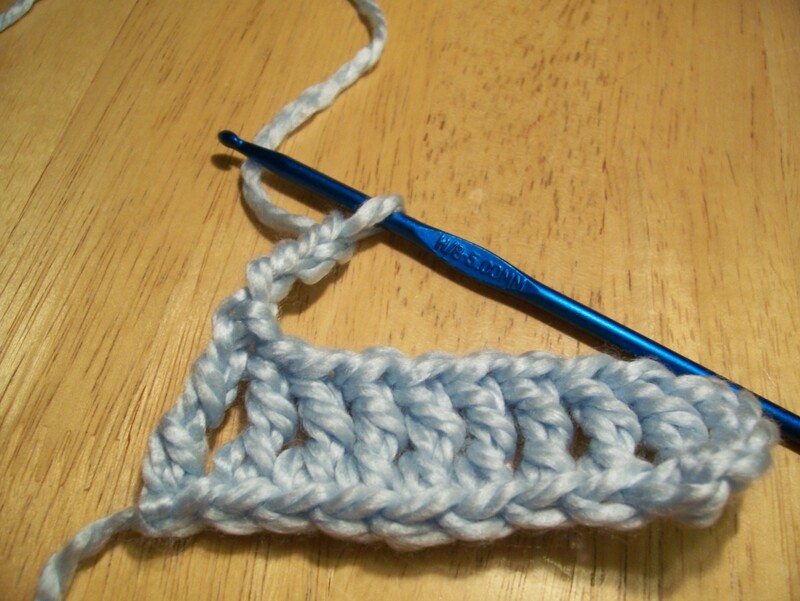 It is also called triple crochet (you begin the stitch with 3 loops on the hook). Chain 13 stitches (loosely). Yarn over twice, and insert hook into fifth chain from the hook. Yarn over again, and pull yarn through the chain. You will now have 4 loops on your hook. Yarn over and pull through the first 2 loops on the hook. There will be 3 loops remaining. Yarn over again, and pull through the next 2 loops on the hook. There will be 2 loops remaining on the hook. Yarn over, and pull through the remaining 2 loops on the hook. You have now made your first treble crochet. Yarn over twice, and insert hook into next chain. Yarn over again, and pull through chain. You should have 4 loops on your hook. Yarn over, and pull through the first 2 loops on hook. Yarn over again, pulling it through the next 2 loops on hook. Yarn over, and pull through the remaining 2 loops on hook. You have completed another double crochet. Repeat steps 5-8 until you reach the end of the row. By the end, you should have 10 stitches. 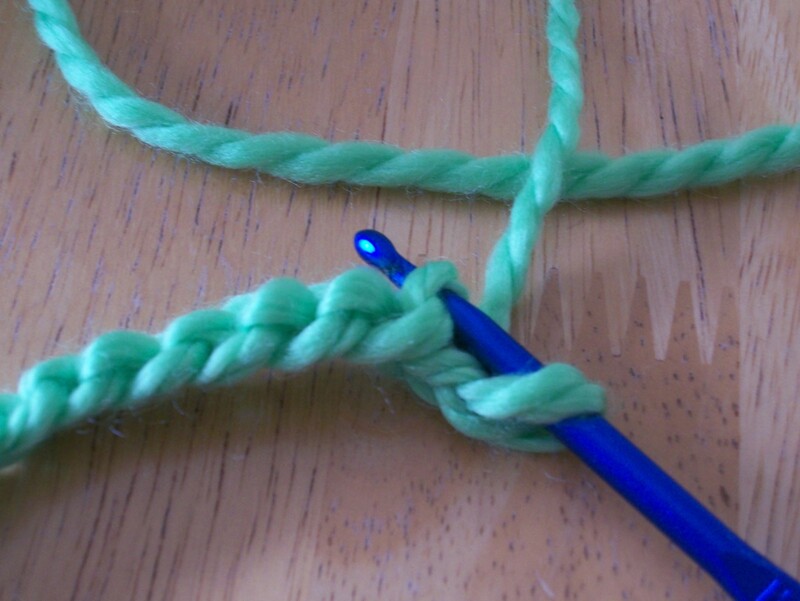 Chain 4 (turning chain counts as first treble crochet), and turn your work. Treble crochet in the next treble crochet from previous row. Continue across to the end of the row. You should end up with 10 treble crochets. Complete a few more rows until you feel comfortable with this stitch. To finish off your project, cut the yarn at the end of your last row. You will want to leave about 4 inches of yarn at the end. Bring the loose end through the last loop on the hook. Tighten it. 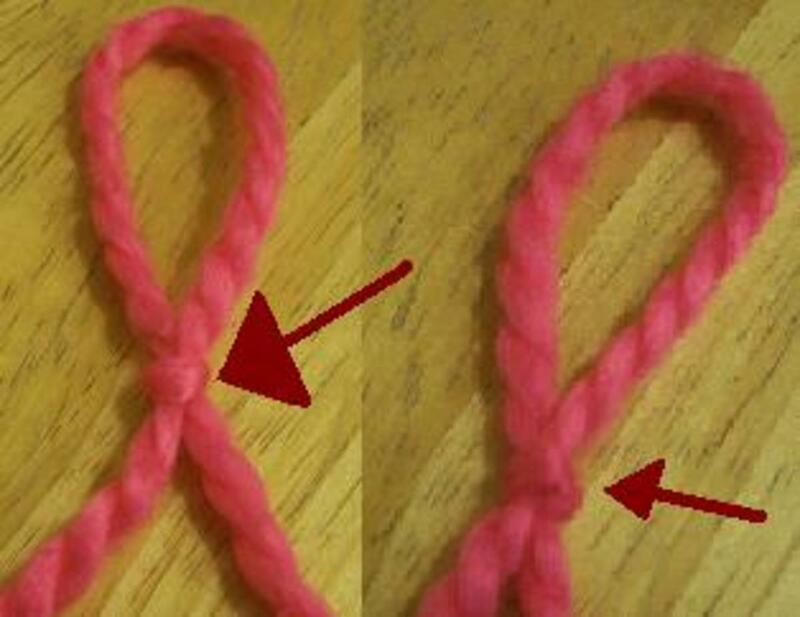 This creates a knot, keeping the ends from unraveling. Weave yarn end into stitches. This is called finish off, fasten off, or end off. This article, by Susan Richards, goes over the basics of crocheting, the different stitches, how to add and drop stitches, and tips for reading a pattern. The article includes clear photos of the various steps. A free directory of patterns, instructions, and tips. This site allows users to post their own patterns, creating an ever growing collection, as well as tips and tricks they’ve used themselves. Clear, useful charts for crochet hooks and knitting needles, showing the equivalent sizes between US, UK, and metric measurements. This site also contains an easy to read list of crochet abbreviations. A Frequently Asked Questions guide to yarn, including a handy yarn calculator to figure out how many skeins are needed for a project. Learn about yarn gauge, yarn plies, and how to make yarn substitutions. What's the Next Step in Crocheting? 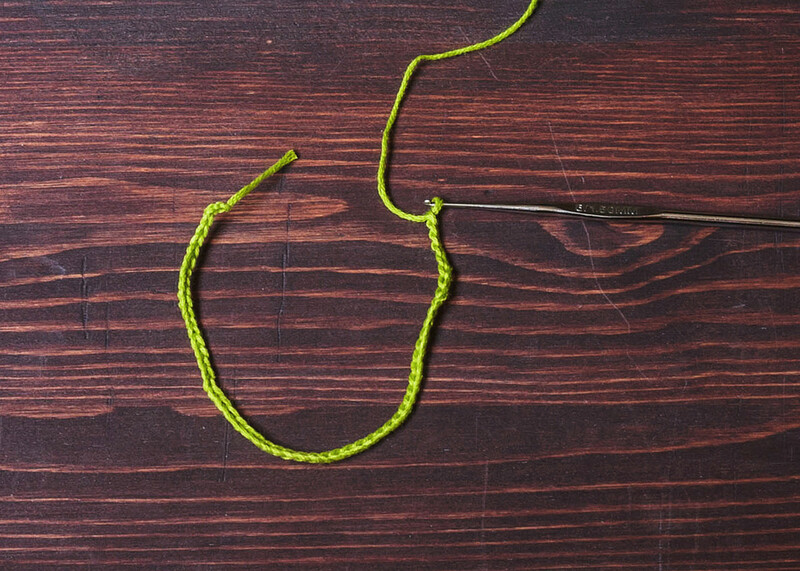 Once you have mastered these stitches, you should try a simple project, like a scarf. 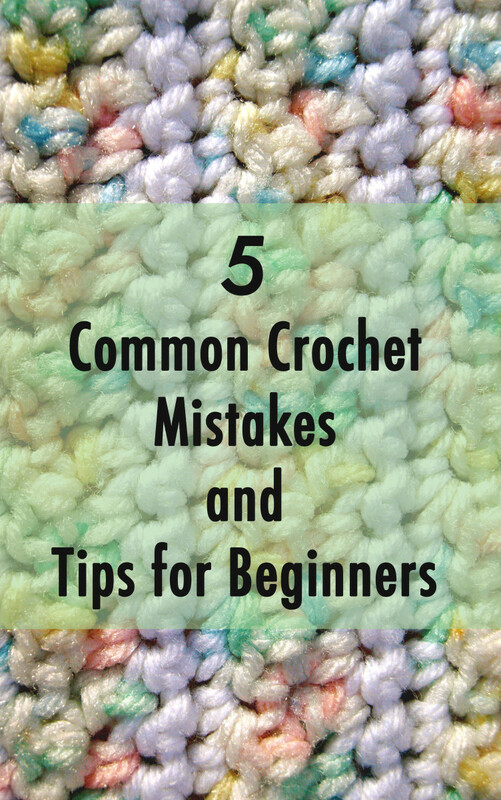 Remember that these are just the basics of crocheting for beginners. There is still a lot to learn before you will be ready to crochet a sweater or afghan, but you are on your way. * = (star) work the instructions following the * as many more times as instructions say, in addition to the first time you did it. † = (dagger) work all instrctions from first † to second † as many times as instructions say. right side v. wrong side = the right side is the side that will show when the piece is completed. work across = continued working the pattern as you already have been. () or [ ] = (parentheses or brackets) work instructions between parentheses or brackets as many times specifed by number following or space indicated. Look at those great stitches! 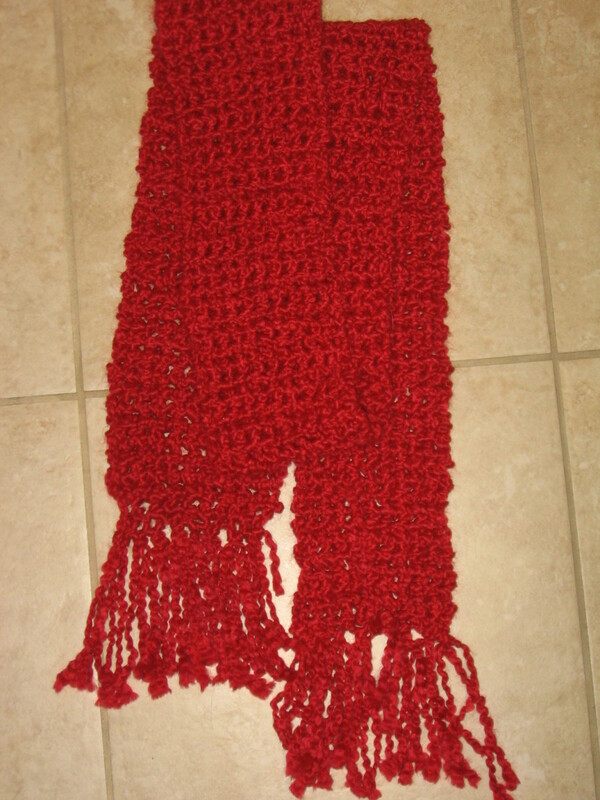 Kat07 crocheted her first scarf by following the directions on this page. See her beautiful red scarf pictured on the right? She did a fabulous job. Please feel free to share your success stories with us. Send me a message to learn how to get pictures of your completed projects posted. How to crotchet using left hand? This is the best crochet hub.. Almost all the crochet stitches mentioned.. Awesome!! Awesome! I'm just starting to learn how to make my own clothes and I was looking for a way to make cosy jumpers and scarves - you've just shown me. This will have to be bookmarked for future use. Thanks for the great tutorial. Thank you for this tutorial. I am just starting out and need all the help I can get. Great hub! Good luck with law school - been there, done that. It pretty much consumes your life for three years. lol I learned to crochet in junior high and I find it very relaxing. I am researching the possibility of doing a hub on afghans I've made, which is how I found this hub! I may refer to it as good instruction for beginners. thanks for everything i learned a lot from thoughs vedios. i'm going to use hub a lot. Kay - Sorry to take so long to respond. It looks like the v-stitch is 1 dc. Ch 2. 1 dc - just based on the instructions you posted. The directions state: 1st row: (RS). (1 dc. Ch 2. 1 dc) in next ch - V-st made in 5th ch from hook (counts as dc and V-st). *Miss next 2 ch. V-st in next ch. Rep from * to last 2 ch. Miss netx ch. 1 dc in last ch. Turn. 36 V-sts. Now, having read the above instructions, is this blanket way to hard for a beginner? Please help! The girls are due in September! This hub was really helpful for someone like me learning on my own. you did a great job, keep up the good work. @Angela: glad Patrice helped you find the stitch! It's one of my favorites. Feel free to send me a pic of your completed project and I'll post it. Thank-you for suggesting that I look up spike stitch. I think you'll be happy to know that I found it. It's called a larksfoot pattern stitch. I watched a vidoe on youtube. I love the pattern and am excited that it looks like something that even I as a beginner can handle. Thanks again for the help. I'll be sure to come back if I have any more questions. Thank-you for the help. @liz - if you are working in half double or double crochet, you may not be crocheting in the top of the turning chain as the last stitch in the row you crochet. Every time this happens, you lose a stitch in the row. Try counting stitches at the end of every row to see if you can identify where you are losing the stitch. @anglea - that is a pretty stitch. 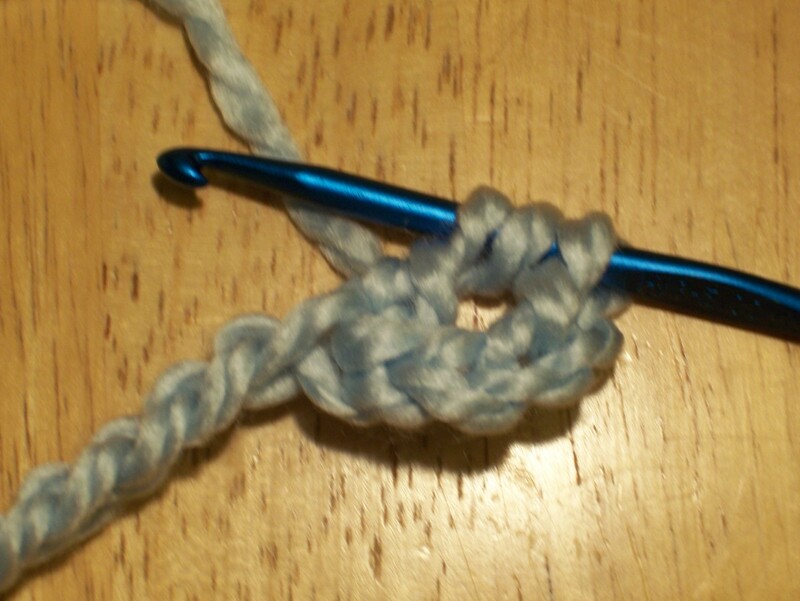 It looks like a variation of the "spike" stitch which is the part of the stitch that dips down into the row below it. The flower-like cluster above the spike looks like it is done by crocheting several stitches into the same stitch. I've looked in several stitch dictionaries I have at home and haven't been able to find it. You might try "googling" spike stitch to see if you can find it. Hope Stacey will identify the pattern because I'd like to know too. This is an excellent hub, Stacie, very well formatted with lots of photos and videos to help anyone learn how to crochet. Rated up! 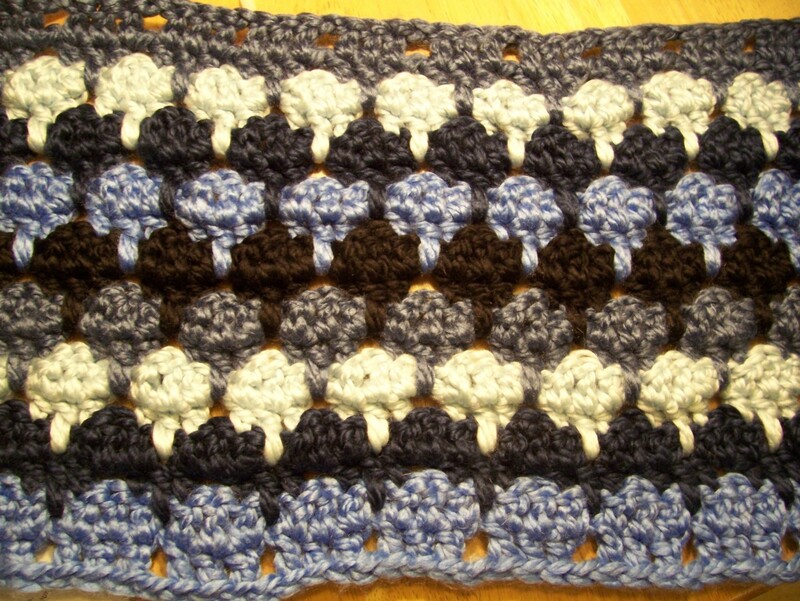 I love the grey blue and white afghan at the top of this link but do not know what the name of the pattren is so that I can learn how to do it. 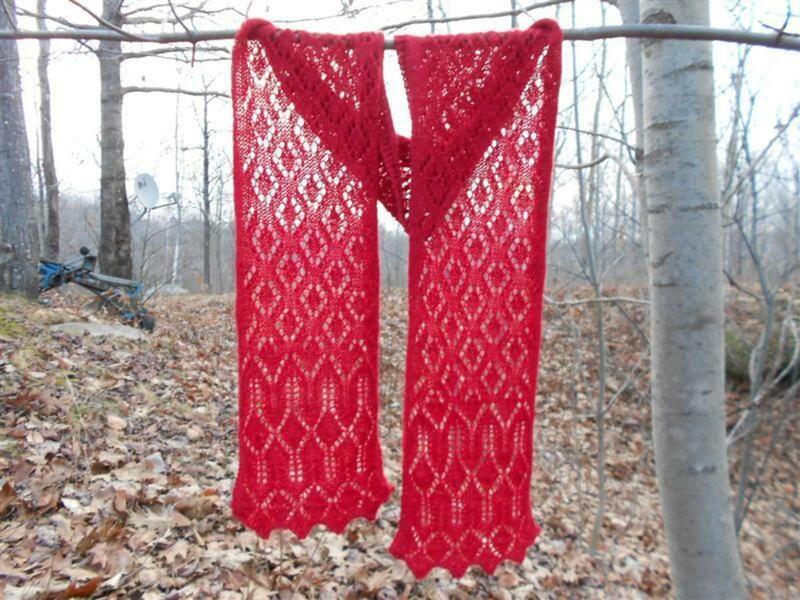 Please let me know the name of the pattern and maybe even post another how to video. I'm a watch and do type of person. Hands on thats how I do it. My own grandmother had taught me how to knit when I was very young. I think that this skills are just important things that need to pass along. I am in highschool now and have been knitting for a long time. When I moved down and started a new school I find that everyone here crochets. I had tried many years ago and my attempts to make a straight line ended up in a little 'v' shape. Yesterday with some christmas money I had gotten some new supplied and I figured I will try again with crocheting. Thankyou for posting such a site up and Happy new year! Excellent hub for crotchet beginners! Now all we need is an art gallery for all the projects of beginners! This is a nice tutorial for a beginner! Beginners are often confused with the stitches and the descriptions of books. Good job! Terrific hub. I so enjoyed it. Your directions and pictures made chrocheting stitches and how to do them crystal clear. Rated up and awesome. I came across this Hub again and wanted to mention how helpful your pictures are because they demonstrate how the different crochet stitches actually look. Great hub, great tips. Crocheting is a great stress buster in this busy world. Thank you. This is a really awesome Hub, very easy to follow! 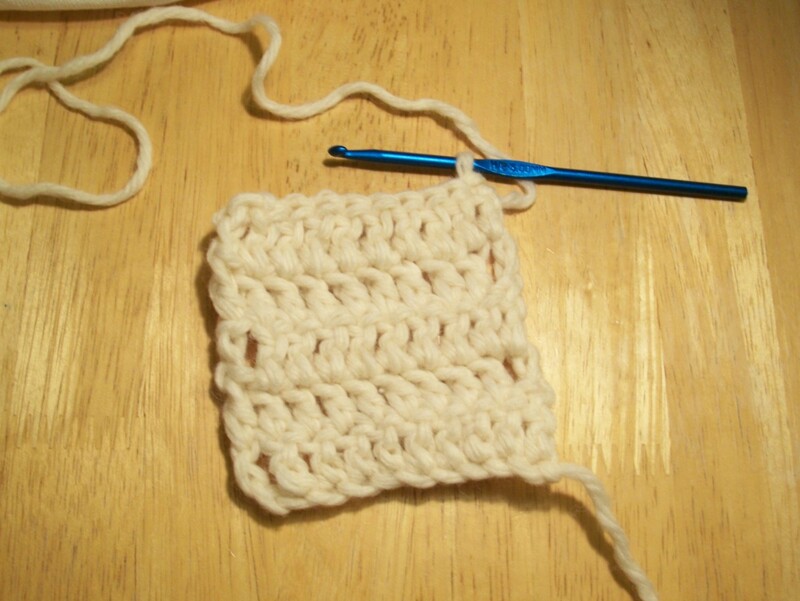 I love to crochet and you made it so simple. LOVE it!! Thanks for putting it all together so well. Now if we can get the world to crochet together!! the person who did the crocheting can u give me more tips im ten and i need alot more tips please thnx make sure their simple cause i really wanna crochet please!!!!! I liked this hub a lot. I have been crocheting for a long time Thanks! I just added your link to my hub on How to crochet a purse out of fabric strips. Thank you for a great Hub!!! This is awesome! I will be trying this later. I taught myself to knit quite easily but crocheting has been harder. This is a very good guide, but only once you've already learned to crochet. I tried this a a start and FAILED MISERABLY. I had to get a book, which explained it all much better, but now this site helps me learn some things not mentioned in the book. Overall, good hub for one with some experience. I LOVE CROCHET!!! Is like a therapy for me. I just doing the basics stiches but with them a make babies gardments, hats,vest, ect. Always trying to be creative. Great Job! You've done an excellent job on this hub. I hope you don't mind if I refer it to the beginning students in my crochet class. Keep up the great work! I have tried crocheting on my own but have always given up in despair after not being able to get even stitches or get past the single stitch. With your excellent hub here, I finally feel like I will be able to start again and be successful. Thanks for your work. There are so many patterns I want to try out. Great article with excellent instructions and good visuals! I used to crochet as one of my favorite hobbies. I do coin purse, pouches, clutches and sell them as my friends can afford to buy. I love crocheting so much. I feel so very appreciated whenever I see someone using crocheted stuff, most especially when it's my piece. Thanks for that wonderful hub. I'm a fan now. My mom does crochet. I showed your hub and she says that its great. I have tried learning to crochet countless times. I've had my aunts try to teach me, I've bought the books, I've done it all. But looking at your well-written hub, I think I might be able to follow your instructions and actually do it! I will be heading over to Jo Ann's Crafts today to pick up my supplies! I'll keep you posted. Thanks for a clear, well-laid out hub. Fantastic!! Thank you so much! I have tried learning how to crochet using a variety of books and websites and have failed miserably using every one of them. This website taught me how to make my first chain stitches! I am so excited and cannot wait until I can make amigurumi! These instructions are better and easier to follow then any book you can buy. I do not knit but I've been thinking about it lately. I will bookmark this so that when I'm ready I have the best instructions. Thanks a million! Great Hub!! 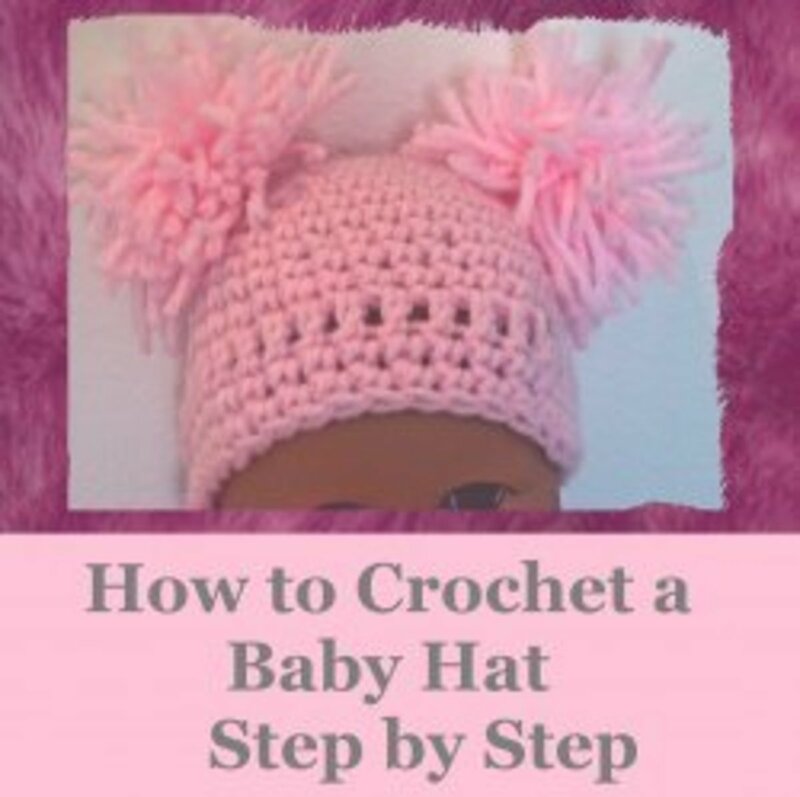 I have been looking all over the web for step by step instructions on how to crochet. Thank you for posting this. I'll have to try it. Thanks so much for this awesome instructions, my crocheting ability was limited to making granny squares and everything else seemed so complicated... After reading this hub and following your instructions I think I'm well on my way to becoming a better crocheter! awesome hub! I knit but have never crocheted. Knitting stitches always look real complicated too, like your pictures, until you get a feel for them. When I'm finally ready to do my special crochet project I'm coming back to this hub. THIS HUB IS DA BOMB! Great hub Stacie. It's nice to see a score of 100 against great hubs, when people like yourself take time and effort to make them readable and enjoyable for others. Super Hub, Stacie. Man, all the great pictures!! Isn't crocheting great? Thanks for a great hub! I'm a newbie. I tried to teach myself to crochet once, now this will help a lot. Kat, that is awesome! Email me a picture and I'll add it to the hub! Stacie, you talked me through my first single-stitch scarf!!! Your hub page and 5 hours later, I have it. I just have to finish and put the fringe on. Woo-Hoo!!! Thank You! Kat, for your first row, right? You will work from the front, but if you are using the ridge (which I usually do), you will make it so the ridge is facing up when you work with it. Stacie - for the single stitch, am I actually working from the back of the chain to use the ridge, or still from the front of the chain and through to the ridge? i'm trying to learn about these hubs and decided to check out a subject i love..crochet. and your hub came up, love your use of pictures and videos. very enlightening on both hub presentation and crochet. Wow! You really did a lot of work and it looks great! This page is totally awesome. It is very helpful and I think Stacie did an amazing job. Crocheting is like meditating. It's a very rhythmic and soothing activity. If you want to forget problems and just zone out for a while, pick up a needle and yarn. It's gotten me through college nearly stress free. Wow!! I wish I could do this! This is an excellent Hub. The pictures are very well used and are very clear to understand. I think this Hub is better than many &quot;How To&quot; crochet books on the market. I think you did a great job, Keep up the good work. I just added you to my list of crochet websites. Nice hub - haven't crocheted for years - but one day I will pick it up again! As you said crochet is a great hobby, for anyone. I usually have a crochet project on the go. One of the highest quality, if not the highest quality Hub I have seen. Thank you.